The Bulle US NYCO WL Marpat boonie hat is made from 65% cotton, 35% polyester medium to heavyweight twill fabric. 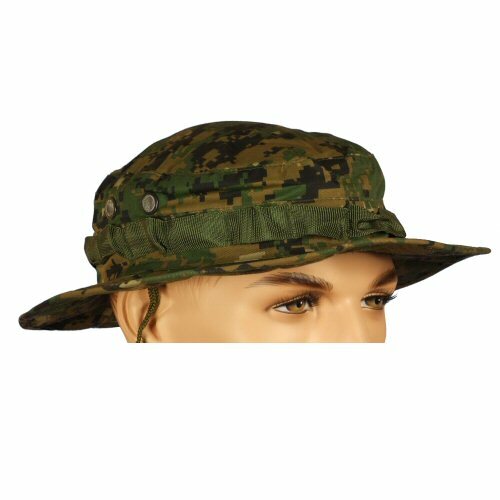 The boonie hat has authentic to original features, such as a band of webbing for adding camouflage material, two ventilation holes on left and right sides, and an integrated drawstring with plastic toggle for adjustment. Additionally, the interior of the hat is lined with a sweat absorbent layer on the crown, and the sweatband is also fitted with a sweat absorbant layer. 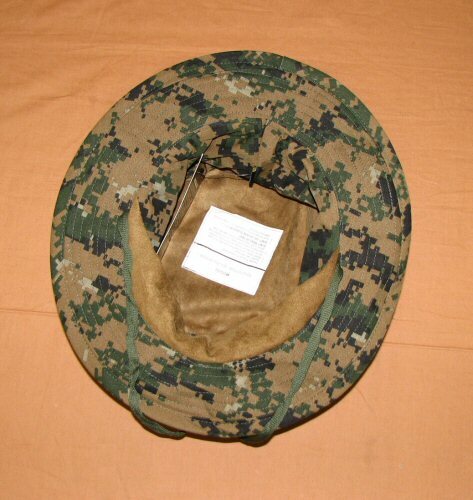 The hat is shaped for a distinct military profile, so that the front of the hat is not as deep as the rear of the hat. The hat sits medium to high on the head, in the authentic way the hat is usually worn. 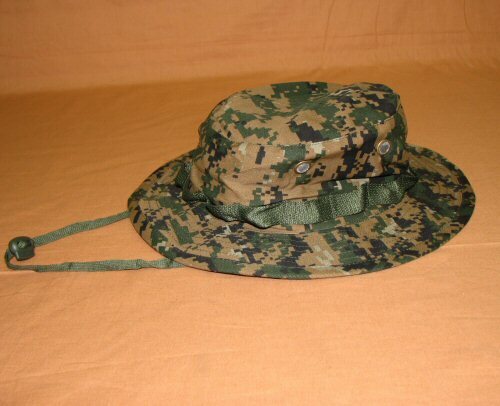 The NYCO WL Marpat boonie hat is a match for the NYCO WL MCCUU uniform. Logos are not present on the hat. Side view of hat. This shows the slanted profile and the ventilation rivets. Interior view of hat showing the crown lining and the sweat liner on the front of the hat.